If you have ever taught 4th or 5th grade, you know that by this grade, students start to form strong opinions about certain school subjects. One of those subjects is reading. Some students love it, some openly resist it, and some are just meh about it. Our job as teachers is to turn those resisters and students who are meh about it into avid readers before they leave us. But, it’s not always easy. 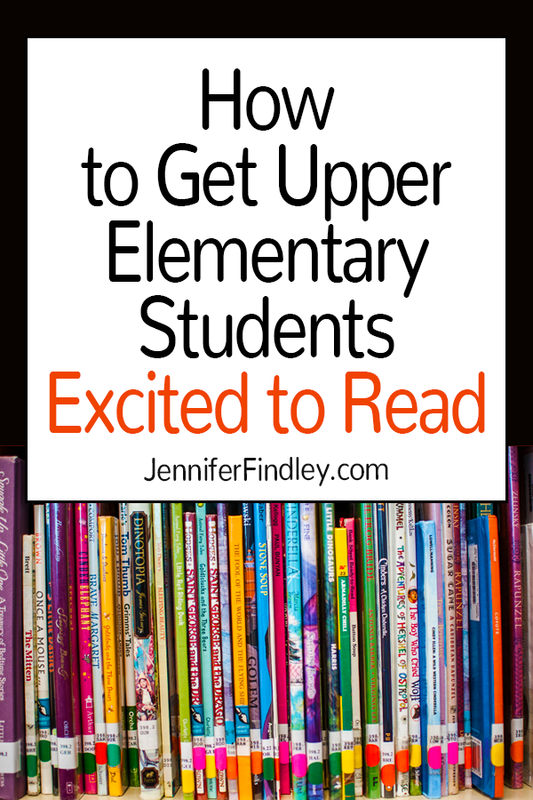 On this post, I will share the tips and strategies I use to get my students excited to read. Allow students to choose what they want to read. This sounds too simple, but it really is that simple. Let them choose the books they read and they will immediately have more of a buy-in. With some students, you may have to work a bit harder to find books they would choose on their own, but it is definitely worth it. Also, don’t limit students to only choosing books within their level. Research shows that when students read books that are interesting to them, they will read more strategically, use more strategies, and put forth more effort (The Reading Teacher Vol.71). Limiting students to a specific level can be and is counterproductive. Going right along with choice is knowing your students’ interests. If you really want to provide them with choices that they will love to read, you have to stock your shelves with books that interest them. This doesn’t mean that you have to go out and spend your paycheck on books (though I am very guilty). There are free or cheaper options: buying books from online marketplaces or yard sales, stocking up on Scholastic $1 books, or even checking out specific books from your school library for your students to read. 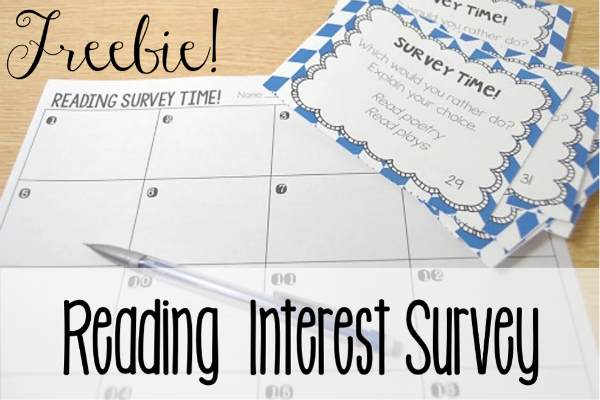 Want a free reading interest survey to help you get to know your students as readers and their interests? Click here! Another great way to keep up with students and their interests throughout the year is through independent reading conferences. During conferences, you will get to know so much about your students as readers and what excites and interests them. Click here to read a post about how to easily get started with independent reading conferences. It shows them that reading is important. It sets the climate that your students are readers. It allows them time to try out new books and get engrossed in them. They gain all those important skills and increased vocabulary and comprehension the more they read. By 4th and 5th grade, students should be given as close to 45 minutes of independent reading time as much as possible. To get our time in, we use transition times and extra minutes to sneak in more reading time as much as we can. Need tips for keeping your readers accountable during this independent reading time? Click here for ideas. 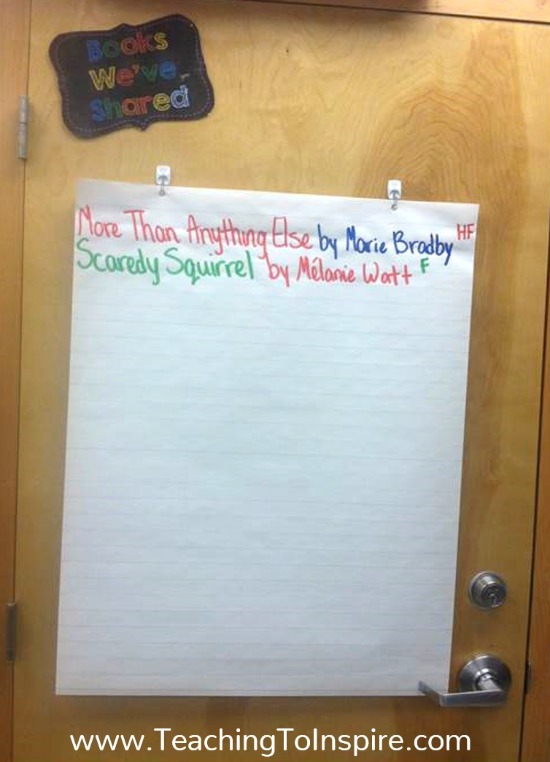 We keep a very simple running record of the books we read aloud together. Here is my chart from a few years ago. I wrote in the first two entries, but eventually the students take this over and a different student writes in the read aloud each day. Share your reading experiences now as an adult and as a child. I regularly share my favorite books from my childhood with my students and I tell them why I loved them so much. This makes a lot of my students eager to read those books and allows them to see me as a reader. Some of the books I read now are not always appropriate to talk about so I don’t go into detail with every book, but I do tell the students that I just finished a book and I might tell how the book made me feel or that I loved it and couldn’t put it down. By sharing myself as a reader, I am showing them that reading is not just for school. When I share my excitement and passion for reading, it really does carry over to my students. This is one reason that while I love math, I could never give up teaching reading and just teach math. I love sharing my reading experiences with my students and it is one of my favorite parts of being a teacher. My students love book talks/commercials. We keep these very simple, which I love. When my students have a book they want to share with others, they write their name and the title on an index card and turn it into a designed spot. Once a week, I have those students come up with the book and briefly talk about what it is about and why they loved it. 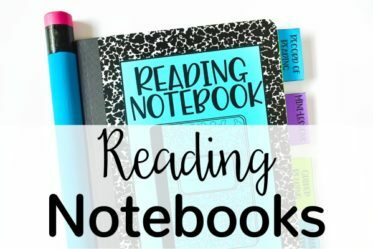 Click here to read more about book talks and a few other ways to have students share their reading with others. Ever since I was in college, I started collecting books for my future classroom library. By the time I accepted my first teaching job, I had quite the collection. 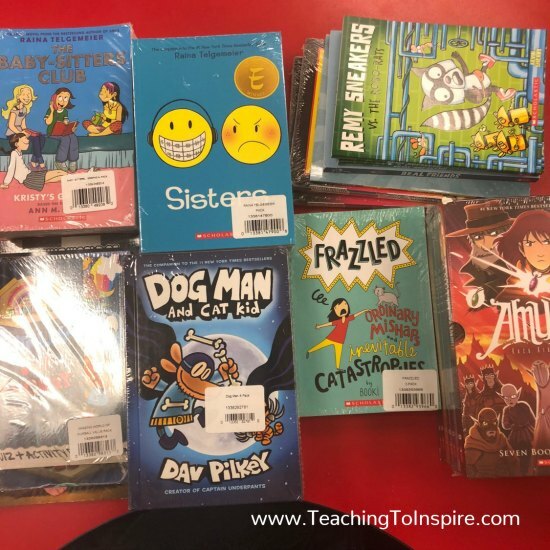 I learned early on that having all of those books out at the beginning of the year was overwhelming to many of my students. Now, I put half of my books out at the beginning of the year and leave the other half in cabinets. Every other week, I will bring out new books to share with the students and put in the library. This keeps our book selections fresh and keeps my students regularly being exposed to new books. When you do bring in new books, a fun way to generate buzz and excitement is to hold a book raffle. Let the students read the backs of each book or you can share a snippet about each book. Then have the students choose any books they want the chance to read first. They can use actual tickets or just slips of paper. Choose from the slips/tickets to who gets to read the book first. This will not only get them excited to read the new books, but the sense of urgency to pass the book on to the next person will get them reading more. My students are always obsessed with certain science and social studies topics, and it seems like we never have enough time for those subjects. I love having a selection of books on each of our major science and social studies topics for my students to choose from to read. I have a specific area to display books when we start a new topic and my students always gravitate towards it. I can still remember the excitement of Scholastic book orders from when I was a child. Even though I rarely had the money to purchase a book, I still loved pouring over the order form and finding new books that I wanted to read some day. As a teacher, I love sharing that excitement with the students and making a big deal about getting new book catalogs, whether the students can purchase or not. We look through the catalogs together, look for familiar reads, and find new ones that we want to consider getting for our library. When any books come in that I have ordered, I make a big show of unboxing the books and letting the students share in my excitement about our new reading choices. A pro tip for those students who take a bit more work to get excited is to hook them in a series. I usually pull a group of students who I think will love the series and we read through the first one together, if it is a quick read. If the book is longer, we read enough together to get them hooked. Then, I gather as many books in the series as I can (from our class library or the school library) and let the students rotate checking them out. This works really well with a series that is not dependent on reading the books in a certain order. There is nothing better than reading an enjoyable book or one with a satisfying or twisty ending and being able to tell someone about it. Collaboration and social sharing are one of the best parts about reading, especially for younger readers. Reading response games played with a partner or group. Grab a free reading partner game by clicking here. What about those times when you have to read a specific text? Show a related video clip on the topic. Use an anticipation guide strategy. Read more about using anticipation guides to build interest here. Pair the text with a related, high interest text. If you are reading a not so exciting text about the causes of hurricanes, read a fiction story about someone who lived through a hurricane or read about the damage caused by hurricanes (which you choose to read really depends on what your students find interesting). 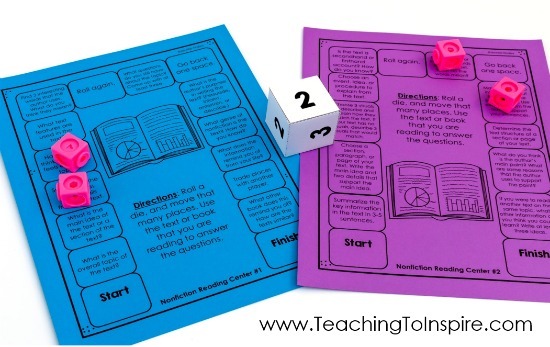 Pair the reading with an exciting or compelling output activity. Reading about nutrition might not be exciting but if students are reading it in order to persuade their school cafeteria to spice up lunch choices, they are instantly more invested and interested. Include collaboration or peer activities before, during, and after the reading to make the situation for reading more exciting. There you have it! Those are all the tips and tricks I have to get my students excited to read. What tips or tricks do you have to share to get students excited to read? Let us know in the comments! 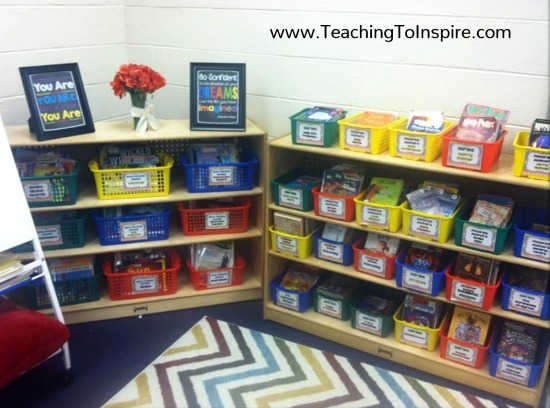 How do you set up your classroom library? Our school is NOT doing AR anymore, and we were told that we could level them however we wanted….. but just wanted to get your thoughts.